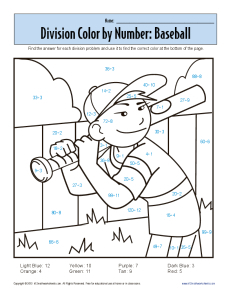 Your youngster will be hitting a home run with this division color by number page! Each quotient represents a color. For the right color, he'll have to solve the division problem. Who knew division could be so much fun?